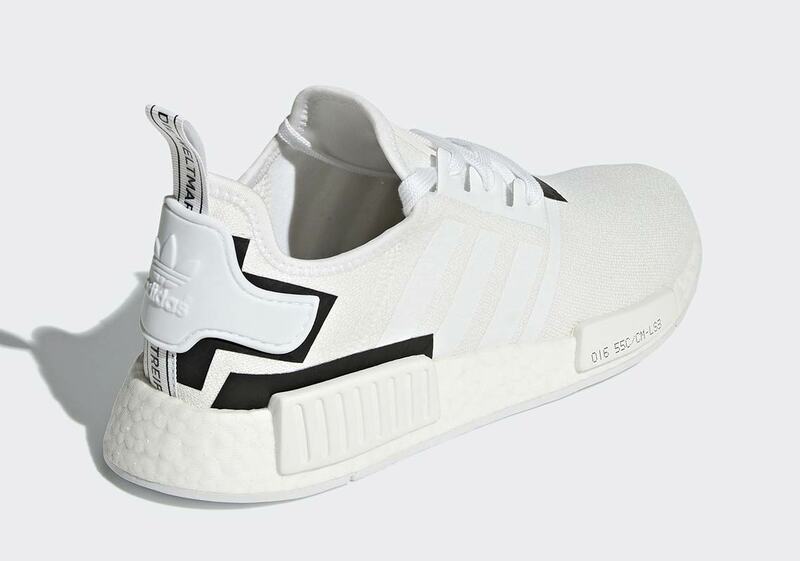 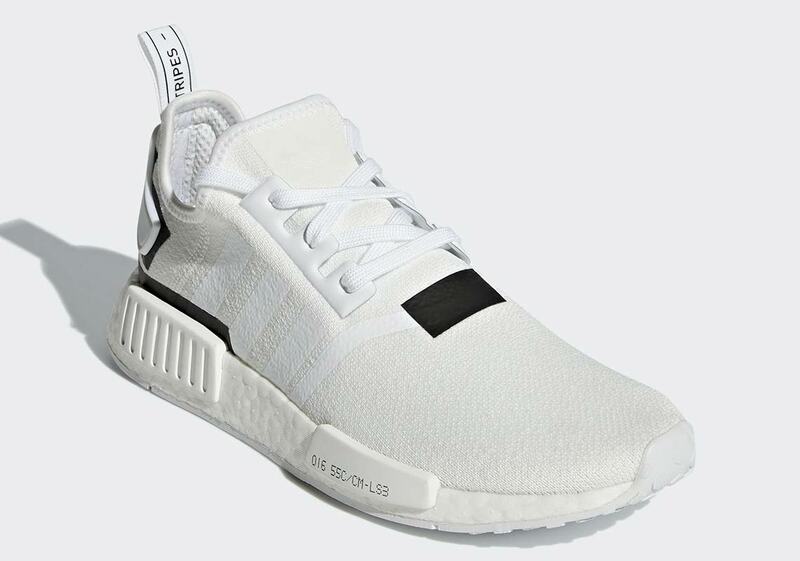 Through the relatively short but extremely impactful career of the adidas NMD R1, the versatile silhouette has taken on many a unique colorway/alternate method of embellishment. 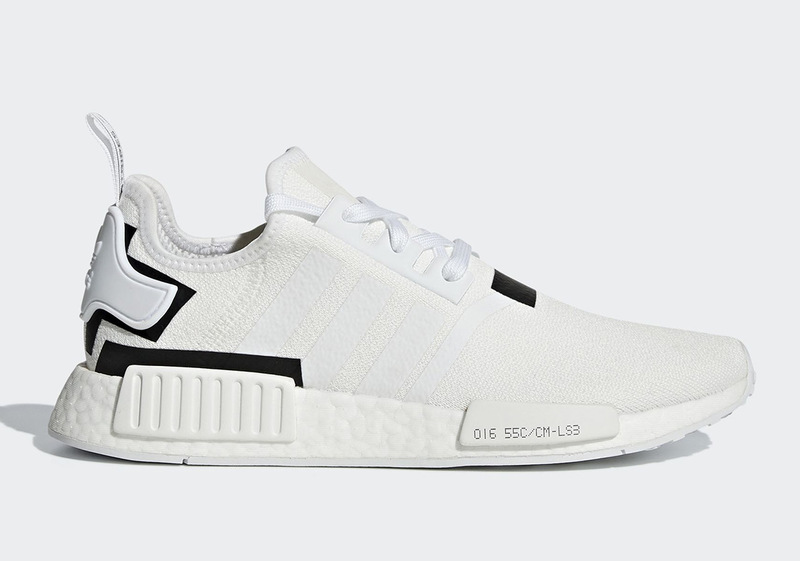 The latest series of wittily decorated adidas NMDs to surface features a handful of artfully placed colorblock hits, and the latest colorway of that pack to be revealed is a clean combination of white and black. 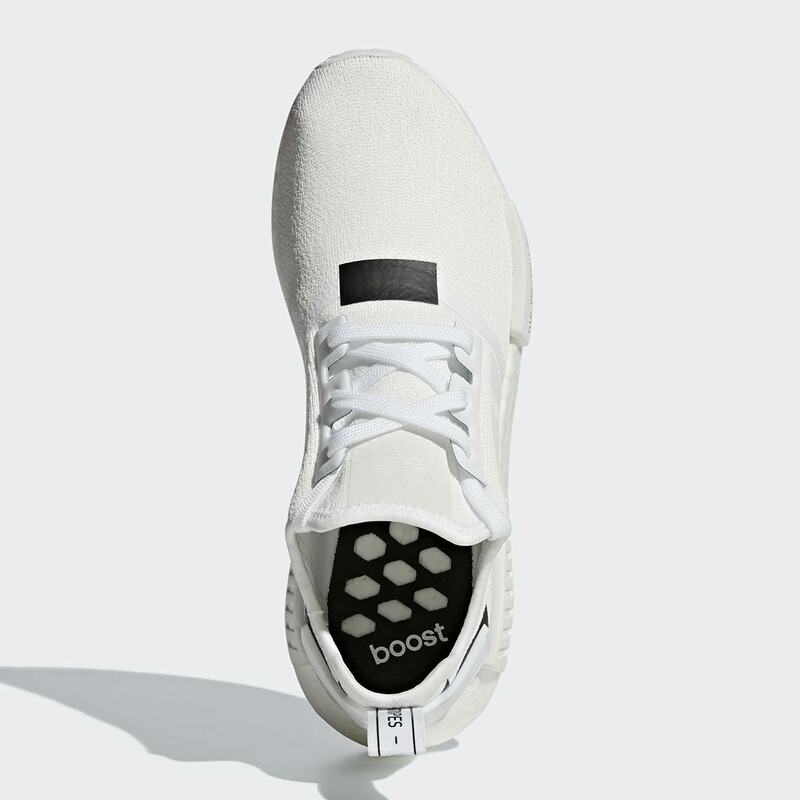 The shoe’s entire base — from the knit upper to the full-length Boost midsole — is dressed in an angelic white, while eye-catching black printed accents appear to provide detailing at the bottom of the throat, around the heel piece, and above the rear midsole brick. 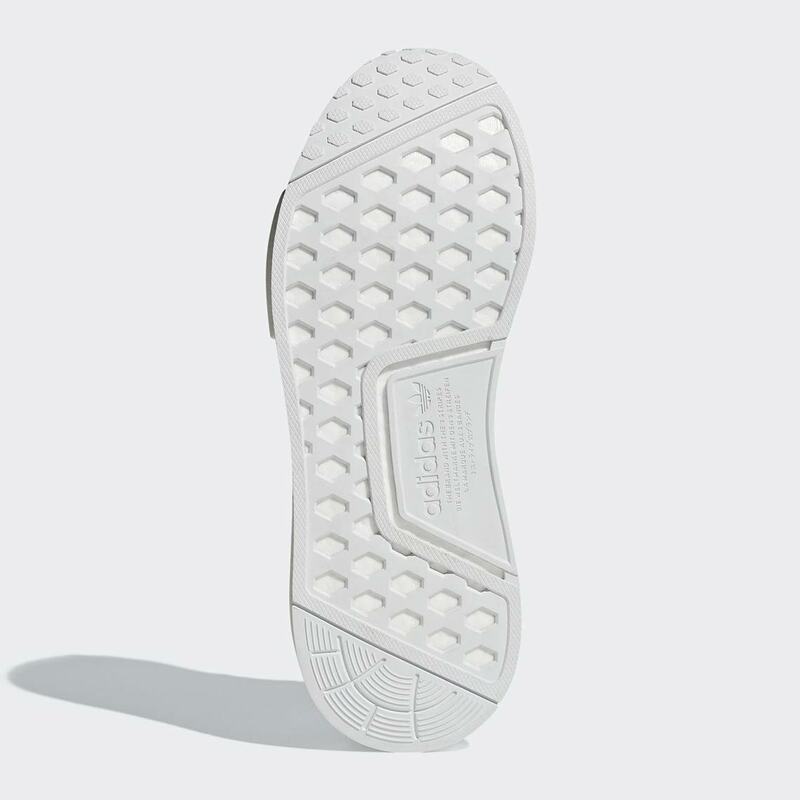 The front midsole brick then features a manufacturing-style printed text embellishment to complete the look. 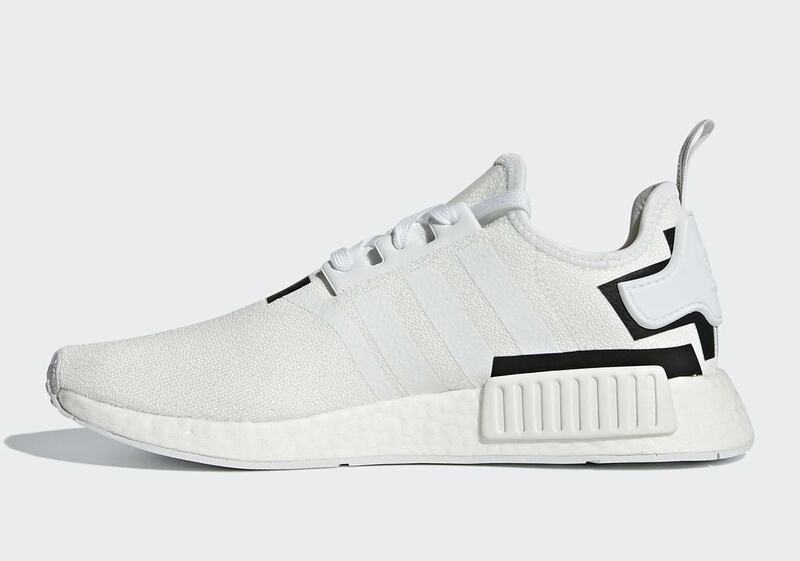 Get a glance at a full set of official images below, and grab these NMDs now at retailers like JD Sports for $130 USD.